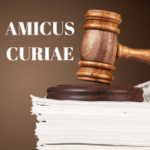 UTA has filed an amicus brief along with industry organizations CMBA, CMA and ATA, in the case of Obduskey v. McCarthy Holthus. The brief summarizes why nonjudicial foreclosure should not qualify as debt collection under the FDCPA. A decision is anticipated by June 30th.